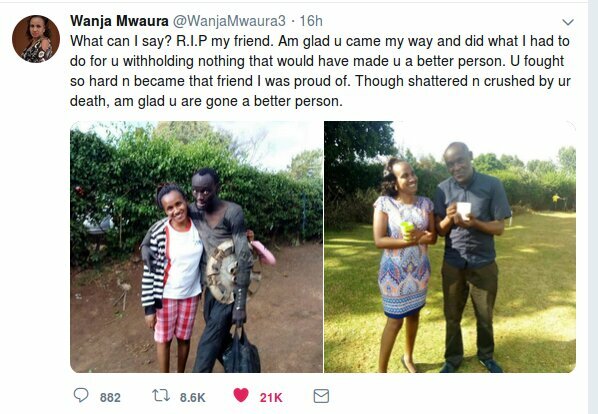 Good Samaritan Wanja Mwaura, who helped his former classmate Hinga fight drug addiction is yet to come to terms with his death. 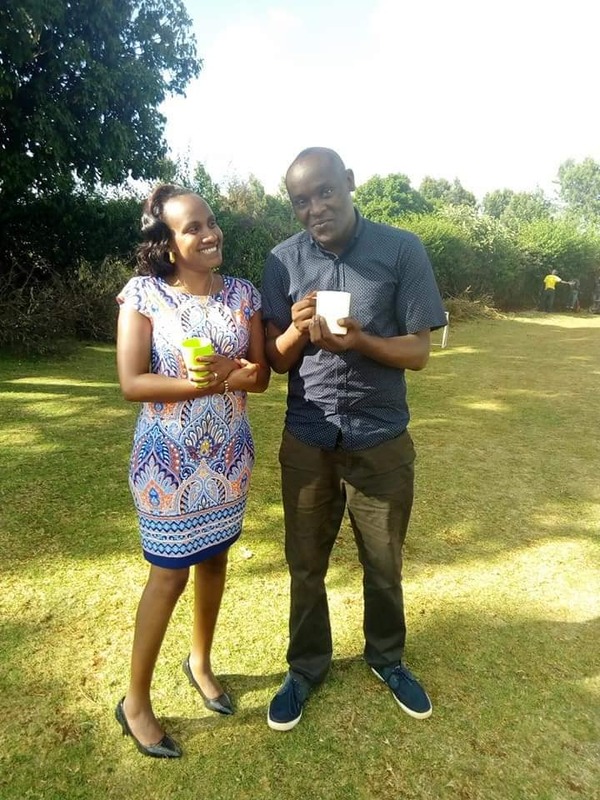 Hinga passed away yesterday and Wanja through her social media accounts revealed he complained of stomach problems before passing on. ‘I know all of you my dear friends are concerned and have many questions about the death of our friend Hinga. According to the mother, Hinga was doing fine n he did his best to remain the man we all helped him to be. on Thursday the 14th, Hinga left home n went to visit his friends in Kayole, upon reaching there he called his mom n complained of a stomach-ache though not serious, he spent the night there and said he will be ok. On Saturday late night the problem persisted n that’s when he decided to go to the hospital but by the time the mother got to him early morning yesterday, he had already passed on. I feel confused n lost and I don’t know what to say or think or even where to start. Wanja went ahead to praise her friend for fighting the good fight but also stated that she was heartbroken. What can I say? R.I.P my friend. Am glad u came my way and did what I had to do for you withholding nothing that would have made you a better person. You fought so hard and became that friend I was proud of. Though shattered and crushed by your death, am glad u are gone a better person. Terryanne Chebet: Your kindness and pureness of heart deeply touched many of us. May God richly bless you, may he comfort you as you mourn your dearest friend. Ferdinand Omondi: I can’t read God’s mind. But I’m pretty sure he’s very pleased with you for what you did here. Bless your soul. And when the pain is gone, rejoice. He’s at peace now. Mwes: He left you a better person and your actions touched even many more so I can confidently say his life on this earth was worth it. May he R.I.P. Sweet girl: We all pray for an angel to be sent our way but you recognized that you could be the angel someone else prayed about. You accepted the role and performed nicely. You left him better than you met him. RIP to him Lesson to all… BE THE ANSWER TO SOMEONE’S PRAYERS. Prophet Kiyiapi: This is what each one of us ought to do – make a difference in lives of others. You demonstrated the best of the human spirit! Moubarak: May Allah reward you for your time & effort, Wanja. Congrats to you both. Fres Prince: Oh no! He died? This hurts real bad. I read about your friendship and I was so inspired. So sad to hear about the demise of your miracle friend.